To live conveniently in your dwelling, you need to feel warm, comfortable and safe. For this purpose you need your heating system to work properly. 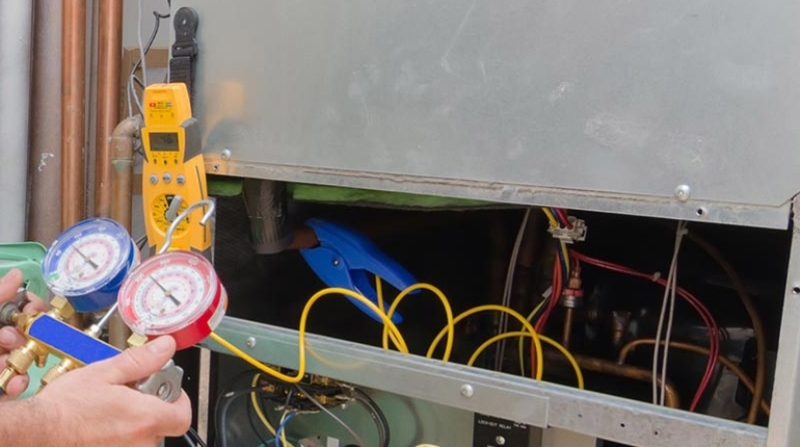 If anything happens to your heating system, you will need a reliable service provider to fix it. Pro Handyman is definitely the best choice in such a situation. Pro Handyman provides the best and quality heating service in San Diego. All you need to do is to call us using our phone numbers given and we will do the rest for you to feel comfortable and warm and vot to suffer from cold in winter. Our professional and highly-qualified team of experts will tackle any heat or hot water emergency any time any day without days-off and holidays. We will take care of your heating system to make it work properly and effectively. Oil, gas, propane and much more. We can help you to sort out the problems with any heating system, be it old or new. If you need regular maintenance service, we are at your hand. Our prices are reasonable and affordable, quite lower compared to other providers in the markets. Pro Handyman works 24/7 and provides emergency services as well. If the problem with your heating system is not so urgent, we agree on the day and time convenient for you and will do our best to solve your problem as quickly as possible. Customers satisfaction is our top priority. We are accurate and punctual. We do our work in terms of heating services on time to make our customers satisfied. In case we are late with completing the work on time promised, our heating services are guaranteed to be free for you. You won’t pay anything. We provide our best heating services on fixed reasonable and affordable prices. We don’t charge our customers with extra money for working at night or on day-off, like other providers do. Our highly-qualified professionals are committed to what they do. We give you 2-year warranty for our heating repairs. In case anything goes wrong, all repairing and maintenance are done for free. Our professionals are well-instructed how to treat our customers and how to take care of their property. They wear shoe covers and clean and neat uniforms. For safety and protection reasons our heating repair technicians have to wear I.D badges. Our top priority is customers satisfaction and we are proud to claim that we do have hundreds of satisfied and happy customers, as we always do our best to meet all demands and fulfill all wishes of our clients.